Rodan + Fields Anti Aging: Does Rodan + Fields Anti Aging Work? What is Rodan Fields Anti Aging Gentle Exfoliating Wash? As per the manufacturer, Rodan + Fields Anti Aging Gentle Exfoliating Wash is one of three facial products in the Anti Aging trio. It is recommended that it be used in conjunction with the toner and sunscreen. The product is designed to rid the face of unwanted debris like dead skin cells and free radicals in the environment. The active ingredients in the product are antioxidants and the manufacturers peptide technology. The product is created by Dr. Rodan and Dr. Fields, Stanford educated dermatologist. The products manufacturer Rodan + Fields is also the creator of Proactive Solutions, a popular acne treated. Rodan + Fields has a full skincare line it includes products designed for age reversal, anti aging, treating blemished skin, and soothing skin. However it may cause skin irritation or rashes. The product can be purchased directly from the website. Individually the product can be purchased online for forty one dollars. 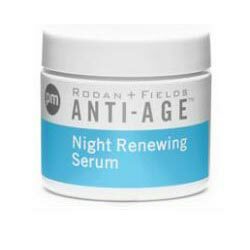 The complete anti aging regime runs one hundred and sixty dollars. In addition the website provides interested parties information about becoming an independent distributor. Rodan + Fields Anti Aging Gentle Exfoliating Wash uses both antioxidants and peptide technology as active ingredients. The manufacture, Rodan + Fields claim that their Anti Aging Gentle Exfoliating Wash is safe and effective for all skin types; oily, normal, dry, and combination. The peptide technology aids in the replenishment of collagen. As people age, the ability to produce collagen slows down. The peptide technology used by the Rodan + Fields Anti Aging Gentle Exfoliating Wash is a direct replica of the skins natural process. The peptides give a signal to the dermal fibroblast to stimulate collagen production. The product is part of a trio which includes the exfoliate, a toner, and sun block. One of the hazards of using an exfoliate is the added vulnerability to the sun’s harmful UV rays. It is recommended that sun block be used in conjunction with the product. What are the Ingredients in Rodan Fields Anti Aging Gentle Exfoliating Wash? Lactic Acid: Lactic acid is one of the most popular alpha hydroxy acids (AHAs) in skin care today, marketed as a ingredient that helps reduce acne breakouts and the appearance of wrinkles and other signs of aging. Citric Acid: This ingredient is an antioxidant and exfoliant that helps protect from free radical damage and remove dead skin cells while also encouraging cell regeneration. However in rare cases it can cause allergic reactions like irritation, and rashes. Water/ Aqua: It helps in retaining the moisture of the skin making it moist and soft with a glowy effect. The product promotes the production of collagen but may cause skin irritation. Interested parties become sales representatives. The product website is vague. This formula contains alcohol which cause skin dryness. It also contains Citric acid which causes allergic reactions like irritation. To summarize, Rodan + Fields Anti Aging Gentle Exfoliating Wash does eliminate excess debris from the skins surface. The Rodan + Fields complete product line is an attempt for the manufacturer, who also created Proactive Solutions, develop a high end product. It also offers 60 days return policy. As the product exfoliate but there is no evidence that proves the product superior to it’s competitors. Consumers who have used the product and reviewed it have stated that it is expensive, running forty one dollars for the Gentle Exfoliating Wash alone. Unfortunately the results were lack luster. Many of the products reviewers stated that the fact the product exfoliated skin was not enough to warrant the cost, sighting other exfoliates that cost less and were just as effective.